Accelerate Auto Electrics supply and fit a wide variety of Dual Battery Systems to suit all makes and models of vehicles. We can fit dual battery systems to 4WDs, caravans, camper trailers and regular cars. The best way to ensure your fridge will run overnight when the engine isn’t operating is with a deep-cycle battery. If the fridge is connected to the deep-cycle battery all the time, it will keep the power flowing as long as it has sufficient charge. There are several ways of achieving that, from a simple, manual rotary switch to mini-computerised electronic devices. Before the arrival of electronic dual battery isolators, the state of the art solution was a solenoid device and which are still popular today. 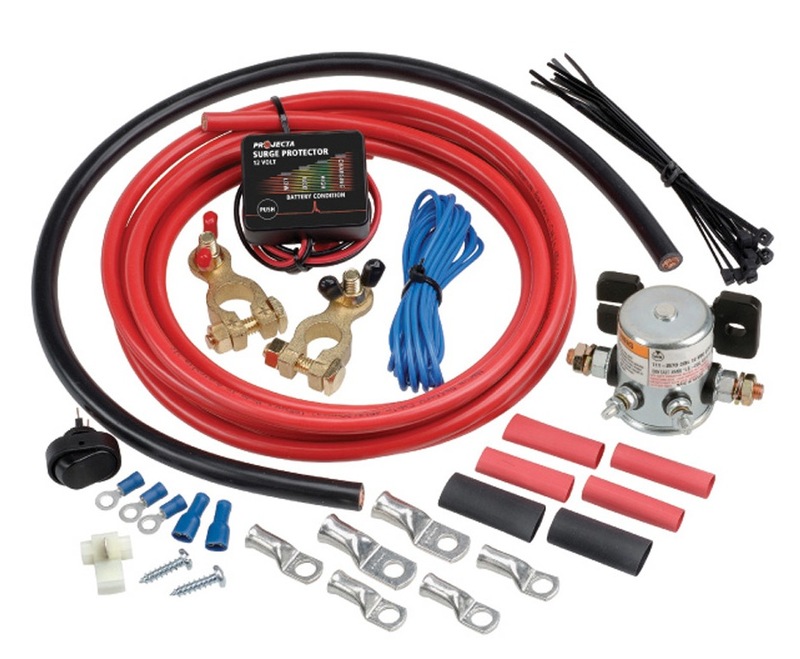 The function of an isolator is to disconnect the deep-cycle battery from the vehicle’s starting battery when the deep-cycle battery is operating the fridge. It also must maintain that disconnection when the engine starts, until the starting battery is fully charged, after which it allows charging current to flow to the deep-cycle battery until it’s charged. The latest electronic devices take the process a stage further, by monitoring both batteries and adjusting the charge rate to suit battery age and condition. Whatever your needs, the message is clear: you need some form of backup battery charging with every dual-battery installation, to make sure you won’t get stranded in the bush. As important as the type of isolator you select is the way the dual-battery system is fitted. Traditionally, a second battery goes into the engine bay, but most of today’s engine bays are full of other stuff. Also, today’s engine bay temperatures are higher than those of yesterday and batteries hate too much heat – particularly absorbed glass mat (AGM) types. 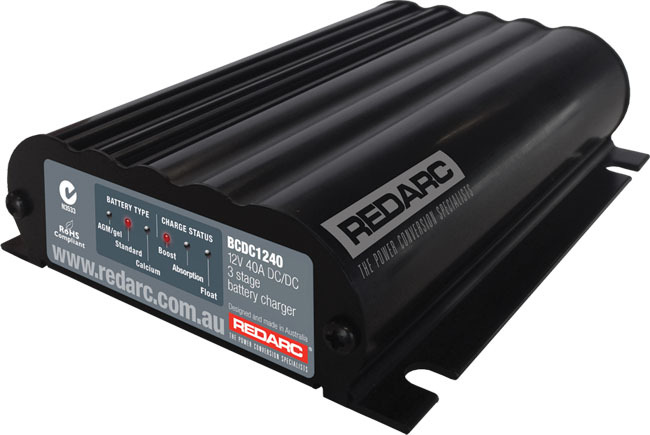 A deep-cycle battery, or a power pack and most types of isolator can be fitted into the back of a wagon or ute, but don’t scrimp on the size of cable connecting the starting battery to the auxiliary, or you’ll suffer from voltage drop. 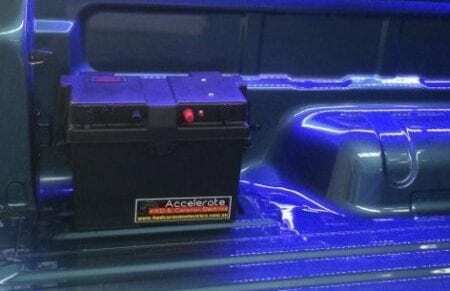 You can buy protective cases for deep-cycle batteries that have to be stored inside vehicles. A simple isolator won’t be enough for many modern 4WDs that have electronically regulated alternator outputs. What’s required is a purpose-designed auxiliary battery DC-DC charger. All connections, including earth terminals, must be made of top quality material and securely fastened with nylock nuts. A small, loose connection will cause big trouble. Not sure which type of Dual Battery System you need? Like us to prepare a Quote for you? For us to provide you with an accurate quote we need to know a fair bit of information about you, your vehicle and what you want to power with the system. We prefer to do this over the phone – so if that suits you, please complete the form, select a date and time below and one of our technicians will give you a call at your preferred time. Phone calls not your thing? If you can be hard to reach on the phone, or just prefer contact via email, please complete the form below and we will do our best to provide you with a quote without needing to call you to ask a bunch of questions.